Queensland is roughly the size of France and Germany, however the catastrophic floods of Australia will be felt worldwide. 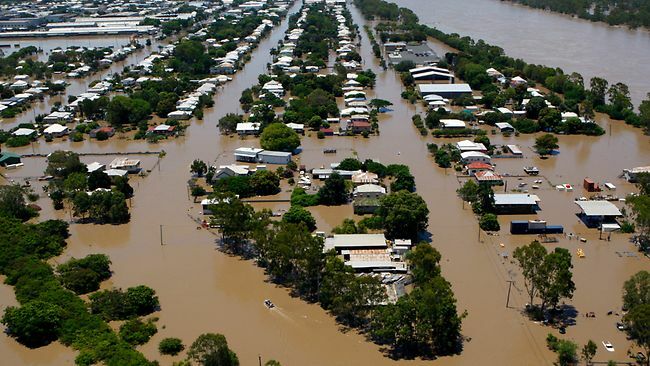 Queensland premier Anna Bligh said the flooding was unprecedented in the state and had now directly affected 40 towns, raising the number from 22 and affecting 200,000 people. “We are unable to move anything by rail or, of course, road,” David Ginns, corporate affairs manager at GrainCorp told Reuters, adding that transport of grain to port elevators from inland areas had effectively ceased, and the domestic distribution network had also been impacted. Ten people have died during the disaster. Australia’s record floods are causing catastrophic damage to infrastructure in the state of Queensland and have forced 75 percent of its coal mines, which fuel Asia’s steel mills, to grind to a halt, Queensland’s premier said on Wednesday. “Seventy-five percent of our mines are currently not operation because of this flood,” Premier Anna Bligh told local television. “So, that’s a massive impact on the international markets and the international manufacturer of steel.” Queensland state is the world’s biggest exporter of coal used in steel-making and contributes more than 40 percent of the global seaborne trade. Steelmakers in Asia may be forced to pay as much as 33 percent more for hard coking coal after the flood. Full-year sales of metallurgical coal has been revised down from 6-6.5 million tonnes to 5.8-6.2 million tonnes. 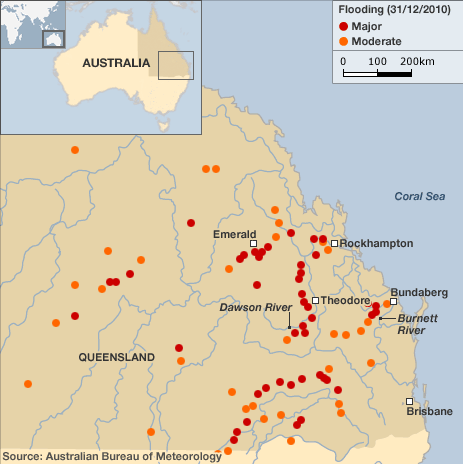 Queensland’s winter grain crop has been totally destroyed by flooding. It is estimated that it will cost the industry about $400 million. Australia’s wettest spring on record have damaged the crop quality in the world’s fourth largest wheat exporter, stoking supply concerns and pushing up already high global wheat prices. It is possible that half of the national crop or about 10 million tonnes could be downgraded to animal feed or low-grade milling grains. The floods will have a devastating impact on summer crops of sorghum and cotton greatly reducing yield. Prices began to surge last summer after a drought in Russia and the Black Sea region decimated the crop there and shut off exports. In recent months, wet weather in Australia and dryness in U.S. wheat areas have raised fears over supplies. Could this be? There is documented geomagnetic activity in the ionosphere as well as the core being very active which in a sense may be triggering the increase of global disasters such as earthquakes, floods, tsunamis, and volcanic activity. What in the wold is going on? Dead cascaras of fish and birds are now being reported throughout the world from China to Brazil to Australia! This worldwide occurrence is a very strange phenomena that has sparked both scientific intrigue and apocalyptic panic in equal measure. Did these fowl of the air and fish of the sea have some sort of omni-ticking bio clock that was set off at the same time? A note to add is currently the deaths are occurring near the coastal lines of the continents with some going in only a few hundred miles into the mainland. Perhaps there is some sort of correlation with the ocean, ocean current, seismic activity, and pole shifting. Only time will tell regarding this enigma of an event. 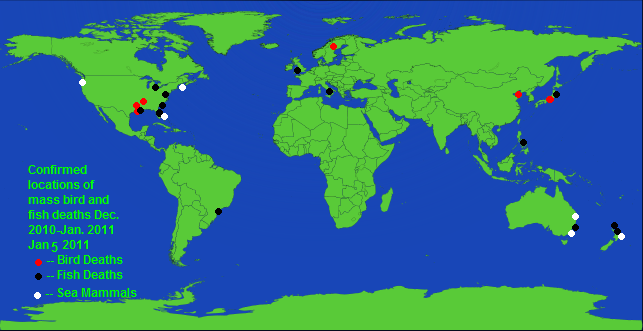 Since 2006, earthquakes have been increasing at an alarming rate. Unfortunately it appears as if we are getting warning signals from the ground. It is apparent that in the very near future, a great event of unimaginable proportions will occur. In 2010 there was a unprecedented 7,924 earthquakes in the U.S. which was an increase of 86% prior to 2009’s total of 4,264. If you were to compare 2006 to 2010 it would be an increase of a whopping 185%! Numbers don’t lie. Aviation experts believe China may have started testing a new stealth aircraft – putting it well ahead of Western predictions that a revamped air force would not be ready for take-off for another decade. Photographs of the J-20 taking high-speed taxi tests at an airfield have appeared on several websites, fueling speculation that Beijing is not particularly concerned about keeping its latest weapon under wraps – at least unofficially. The plane photos surfaced just one week after a U.S. naval commander warned that China is stepping up testing on a space missile that could sink American aircraft carriers in the Pacific. The Chinese prototype looks like it has “the potential to be a competitor with the F-22 and to be decisively superior to the F-35,” said Mr. Fisher. 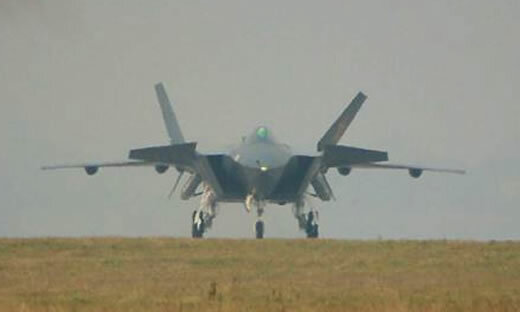 The J-20 has two engines, like the F-22, and is about the same size, while the F-35 is smaller and has only one engine. China’s stealth-fighter program has implications also for Japan, which is considering buying F-35s, and for India, which last month firmed up a deal with Russia to jointly develop and manufacture a stealth fighter. The Chinese military are also expected to launch their first aircraft carrier next year – a year earlier than anticipated by U.S. experts. 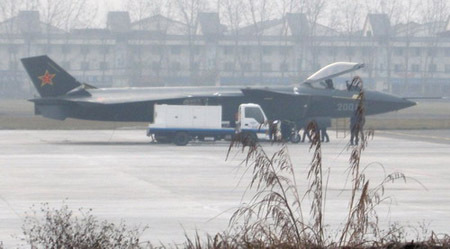 According to the Aviation Week website, security at the airfield where the J-20 was photographed was slack and the prototype could be viewed from several public areas. The ‘leak’ supports earlier claims by the Chinese military that a stealth aircraft would be airborne by 2011 and could be operational by 2017. Stealth aircraft – which can evade detection by radar, infrared and other tracking devices – have been in development since the end of World War Two. Experts point out that the Chinese version is larger than most observers expected – ‘pointing to long range and heavy weapon loads’. 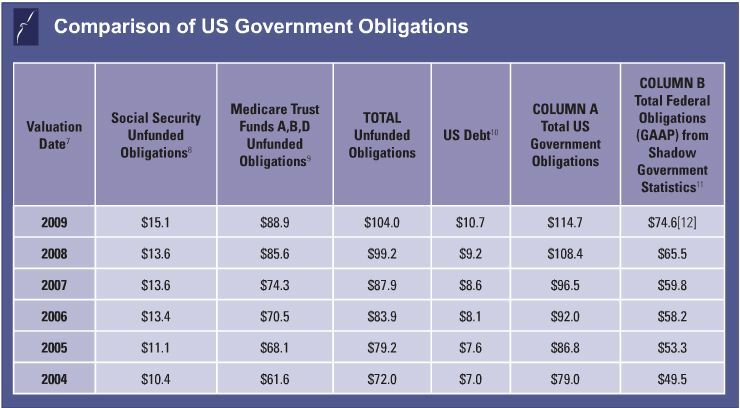 Using CBO data, Kotlikoff says the real national debt is $202 trillion. Compare the official deficit numbers for July – $165 billion – with the numbers for all of 2002 – where $165 billion covered the deficit for the entire fiscal year. The Congressional Budget Office whose Long-Term Budget Outlook, released in June, shows an even larger problem. Jan. 3, 2011 – Several major catastrophes in 2010 resulted in substantial losses and an exceptionally high number of fatalities. The overall picture last year was dominated by an accumulation of severe earthquakes to an extent seldom experienced in recent decades. 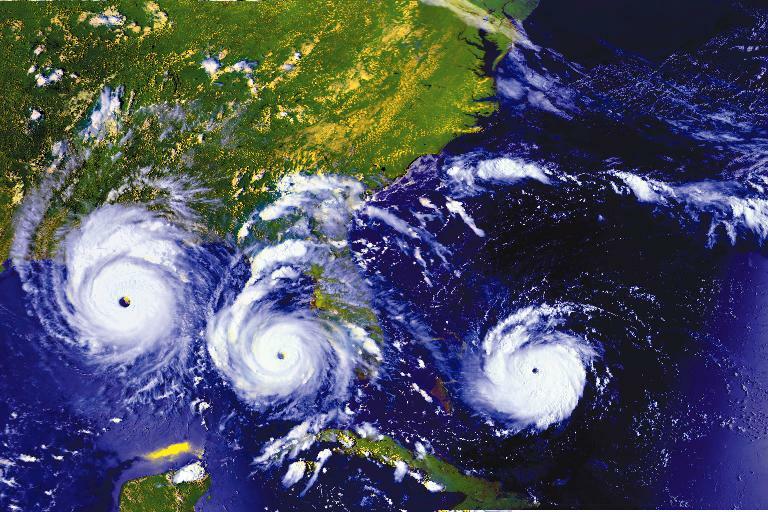 The high number of weather-related natural catastrophes and record temperatures both globally and in different regions of the world provide further indications of advancing climate change. Altogether, a total of 950 natural catastrophes were recorded last year, nine-tenths of which were weather-related events like storms and floods. This total makes 2010 the year with the second-highest number of natural catastrophes since 1980, markedly exceeding the annual average for the last ten years (785 events per year). The overall losses amounted to around US$ 130bn, of which approximately US$ 37bn was insured. This puts 2010 among the six most loss-intensive years for the insurance industry since 1980. The level of overall losses was slightly above the high average of the past ten years.